Amid unending political chatter and myriad claims relating to his conduct from across the political spectrum, Attorney General Avichai Mandelblit has kept near silence over the allegations against Prime Minister Benjamin Netanyahu since police opened their investigations into the premier over two years ago. On Thursday he finally spoke out, announcing in a 57-page document his plans to press charges against Netanyahu for a series of alleged crimes in three separate cases. In a move that drastically shakes up Israeli politics less than six weeks before general elections, Mandelblit said Netanyahu will be indicted, pending a hearing, for fraud, breach of trust and bribery. The felony of “fraud and breach of trust” applies when public servants have compromised their ability to act in the public interest, according to Prof. Barak Medina, the former dean of the Hebrew University Law Faculty. Bribery, however, is considered an even more severe crime and carries with it the additional label of “moral turpitude” — defined in law as “an act or behavior that gravely violates the sentiment or accepted standard of the community” — which prohibits politicians from running for office for a full seven years after the end of a prison or community service sentence. 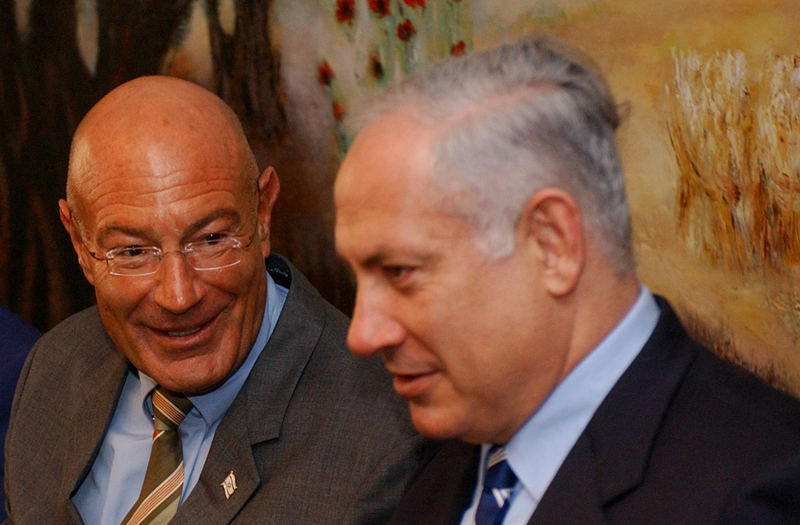 In Case 1000, involving accusations that Netanyahu received gifts and benefits from billionaire benefactors, including Israeli-born Hollywood producer Arnon Milchan and Australian mega-investor James Packer, in exchange for favors, Mandelblit said he intends to charge Netanyahu with fraud and breach of trust while closing the case against Milchan. According to Mandelblit, Netanyahu was guilty of a “serious conflict of interest between your obligation to [the benefactors] and your obligation to the public.” He said the prime minister and his wife allegedly received gifts amounting to NIS 701,146 ($195,000), with NIS 477, 972 ($130,000) worth of cigars, champagne and jewelry from Milchan, and NIS 229, 174 ($75,000) worth of cigars and Champagne from Packer. “As well as the friendly relations you shared you received various benefits, at times in response to your specific requests… At times these benefits were given to you to lever your public position as prime minister,” Mandelblit wrote. The attorney general said there were three instances where Netanyahu used his position to advance Milchan’s interests: helping him secure a long-term US visa; working to extend a little-known tax exemption law that would benefit the Hollywood producer; and working to advance Milchan’s investment interest in the Israeli media scene. Amendment 168 to the Tax Ordinance is ostensibly a piece of legislation meant to encourage aliyah (immigration to Israel) by Jews living abroad, Amendment 168 to the Income Tax Ordinance was signed into law in September 2008 by then-prime minister Ehud Olmert. As it stands, it grants a 10-year tax exemption on income earned abroad to new immigrants and to returning residents who have lived abroad for at least 10 years. In addition, it gives those eligible a 10-year exemption on reporting earnings abroad. The law, however, flies in the face of international anti-money laundering standards and each year for the past several years the finance minister has tried to abrogate it. Each year, as part of negotiations over the Arrangements Bill, the effort to cancel it is scuttled, putting Israel in danger of being placed on international anti-money laundering sanctions lists. 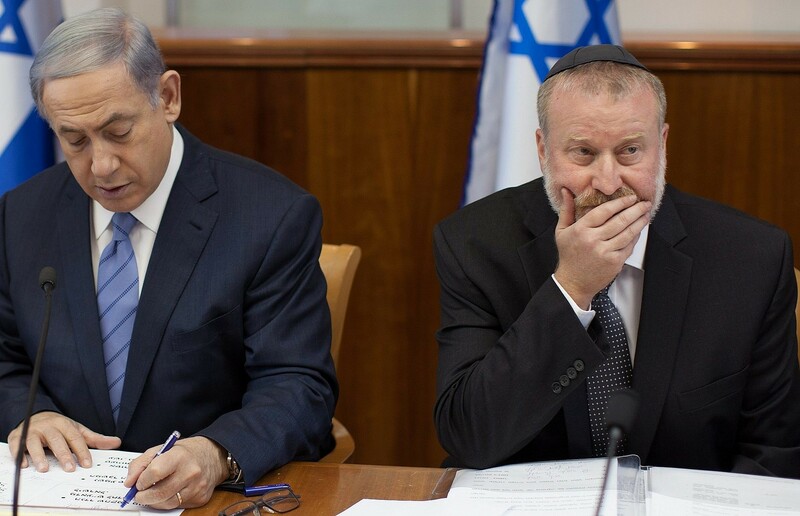 Both the Finance Ministry and the State Comptroller have agreed that the law, even in its current form, leeches millions of potential shekels from the state coffers each year and does more to help Israel thrive as a shady tax haven than it does to encourage aliyah. Nonetheless, every year what has been described by officials as “a hidden hand” ensures that the exemption remains part of the state budget against the wishes of the Treasury. Mandelblit said Netanyahu twice asked then-finance minister Yair Lapid in 2009 about expanding the provisions of the law, on one occasion specifically asking what changes would be needed in order to allow Milchan, also an old friend of Lapid’s, to benefit as best possible. The attorney general said Netanayhu was acting on the specific request of Milchan. Mandelblit said Milchan could have potentially saved millions of dollars in taxes had the change to what has become known as the “Milchan Law” not been thwarted by the Treasury. The second intervention Netanyahu made on behalf of Milchan, Mandelblit charged, came in the form of repeated efforts to secure him a long-term US visa by asking then-US secretary of state John Kerry about the issue three times in 2014, as well as asking then-US ambassador to Israel Dan Shapiro on a number of occasions. On one occasion, Mandelblit said, Milchan came to the Prime Minster’s Office in Jerusalem and, while there, Netanyahu phoned Kerry to discuss the visa. Born in Israel, the Los Angeles-based Hollywood producer Milchan, 72, never became a US citizen, but used to enjoy 10-year visas to live there. However, in 2013, he gave an interview to Israel’s Channel 2 in which he acknowledged that he had worked in the past for the Israeli intelligence community. In the wake of his disclosures, according to Channel 2, Milchan — behind such movie hits as “Fight Club,” “Pretty Woman,” “LA Confidential,” “12 Years a Slave” and “The Big Short” — was no longer granted 10-year US visas, and instead was required to apply for an annual extension. Netanyahu has admitted to asking Kerry to intervene to restore the 10-year US visa but claimed it had nothing to do with the gifts, and that he has made similar gestures for others. Mandelblit said Netanyahu’s efforts were the contributing factor in securing the visa renewal. Finally, regarding Case 1000, Mandelblit alleged that Netanyahu carried out a series of interventions that aided Milchan in his attempt to secure a major interest in the now-defunct Channel 2 TV station. Before it was split into two separate channels, Channel 2 was operated by two franchises, Reshet and Keshet. (Keshet now operates Channel 12 while Reshet runs Channel 13.) Under the plan hatched by Netanyahu and Milchan, Mandelblit said, the Hollywood producer would have gone into partnership with Reshet. Then, at some point in the future, Milchan is believed to have hoped to merge Reshet with Keshet. Mandelblit said Netanyahu allegedly helped set up a number of meetings between Milchan and relevant investors, and instructed then-Communications Ministry director general Shlomo Filber, who has turned state’s witness in the case, to help move the issue forward. Mandelblit noted “uncustomary actions” by Netanyahu in the requests he made of the US State Department, the finance minister and the Communications Ministry director general. “In your actions you allegedly abused your position and status and significantly and seriously harmed the propriety of the public administration, the integrity of public servants and public trust in public servants,” the attorney general charged. 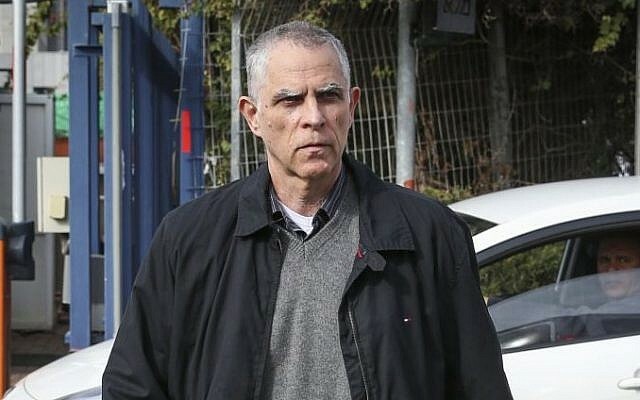 In Case 2000, involving accusations Netanyahu agreed with Yedioth Ahronoth newspaper publisher Arnon Mozes to weaken a rival daily in return for more favorable coverage from Yedioth, Mandelblit intends to charge the premier with breach of trust, while Mozes will be charged with bribery. The case is said to have been a contentious one in Mandelblit’s office, with many prosecution officials reportedly arguing that Netanyahu should be charged with bribery, while Mandelblit considered not charging the prime minister at all. Under the alleged agreement between Mozes and Netanyahu — which was not implemented — the prime minister said he would advance legislation to curb the circulation of the Israel Hayom daily if Mozes instructed his reporters and op-ed writers to change their often negative stance toward him, Mandelblit charged. From 2009, “Netanyahu and Arnon Mozes held conversations and personal meetings during which they discussed helping each other as a quid pro quo to advance their respective interests,” he wrote. Mandelblit said Netanyahu offered his support for possible measures including closing Israel Hayom, helping to shrink the newspaper’s circulation numbers, and nixing the free daily’s weekend edition. The law did not pass, as the government folded and went to elections in 2015. Furthermore, “the sides took actual active steps in advancing each other’s interests in continuation of the understandings reached between them, or at least presented to each other as if they had acted that way,” the attorney general wrote. Mandelblit said he would be seeking a charge of bribery against Mozes but only fraud and breach of trust against Netanyahu. 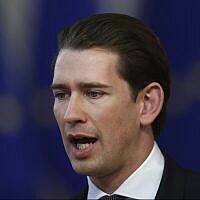 Nonetheless, he accused the prime minister of “severely damaging public trust,” by carrying out a “detailed and expansive negotiation” with Mozes over his offer rather than stopping it immediately. In Case 4000, widely seen as the most serious against the premier, Netanyahu is accused of having advanced regulatory decisions that benefited Shaul Elovitch, the controlling shareholder in the Bezeq telecom giant, in exchange for positive coverage from the Elovitch-owned Walla news site. In this case, Mandelblit announced he intends to charge both Netanyahu and Elovitch with bribery. 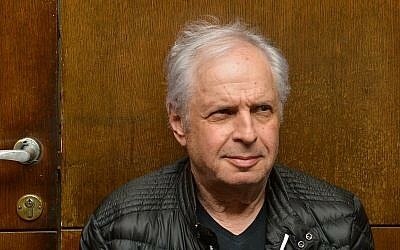 In a blistering accusation, Mandeblit said Netanyahu “intervened in a blatant and ongoing manner, and sometimes even daily, in the content published by the Walla News website, and also sought to influence the appointment of senior officials [editors and reporters] via their contacts with Shaul and Iris Elovitch,” the Bezeq owner’s wife. 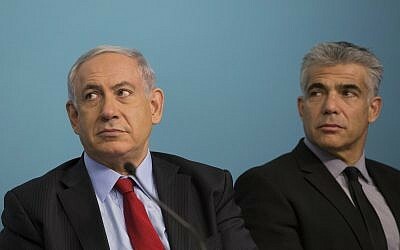 Elovitch ensured favorable coverage of Netanyahu at Walla, Israel’s second largest news site, and critical coverage of Netanyahu’s rivals, especially in the 2013 and 2015 election periods, Mandelblit charged. In one astonishing example, Netanyahu is accused of pushing for his media adviser, Nir Hefetz (who later turned state’s witness) to be allowed to edit an interview with Netanyahu. The request was accepted, Mandelblit said. In return, Mandeblit claimed, Netanyahu intervened in regulatory and other business decisions that benefited the Israeli tycoon to the tune of NIS 1.8 billion — some $500 million. The allegations of misconduct go back to when Netanyahu replaced Gilad Erdan as communications minister in November 2014 in what critics saw as a power grab to give him increased control over the media and telecom industries. He subsequently fired then-director-general Avi Berger over the phone in May 2015 and appointed Filber in his stead. The move, as well as Netanyahu’s insistence that the 2015 coalition agreements include a provision giving him “sole control” over media matters, was aimed at creating less confrontational stance vis-à-vis Bezeq, which Berger had sought to limit, Mandelblit said. Under his watch, Bezeq appeared to be given preferential treatment. For example, in 2014 Israel launched a wholesale market reform to open up the fixed line telephony and internet market, dominated by Bezeq, to vibrant competition. According to the planned reform, as described by Mandelblit, by March 2017 Bezeq was supposed to lease out its infrastructure to telecom competitors such as Partner Communications Co. and Cellcom so they could provide competing fixed line and internet services. With Filber overseeing the implementation, Bezeq reneged on its obligation. The relationship between Netanyahu and Elovitch marked a blatant conflict of interest, the attorney general wrote, in which Elovitch’s intervened “crudely” on Netanyahu’s behalf at Walla, in the expectation, which bore fruit, of business benefit. Netanyahu indeed used his “power and authority” to advance Elovitch’s interests, to the extent that Elovitch “directly or indirectly” made 1.8 billion shekels as a consequence of Netanyahu’s regulatory and other decisions. 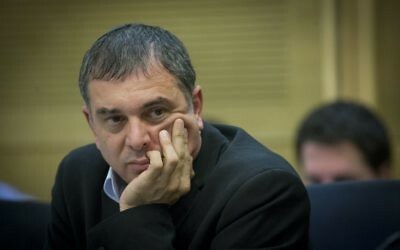 Disagreeing with police and the state prosecution, however, Mandelblit did not decide on charges against Sara Netanyahu for bribery, fraud and breach of trust, and for “disruption of investigative and judicial proceedings.” He also dropped possible charges against the Netanyahus’ son Yair.